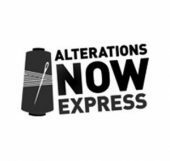 Alterations Now are located on the ground floor, near JB Hi-Fi. Alterations now are also able to alter and repair Wedding and Formal dresses. Additionally, they also offer a special dress making service. They also are able to alter and repair leather. Alterations now offers a dry cleaning service, a special 20 minute service, and Pant hem and shortening for only $15! To learn more please see them in store today. Lastly, Alterations now is also able to make special alterations to items such as bed covers, table covers & pillow cases.